GaGa Animal Care Netherlands is an organization that is run by volunteers with a great love for dogs. We do not strive for profit, but still need enough money to keep animals alive. When you decide to support GaGa Animal Care financially, we are very grateful for that. We will keep you informed of what exactly is happening to your money. Examples of investments include paying a vet account, buying food, castration and sterilization, and paying a spot on a flight with which a dog can come to the Netherlands. In addition to a one-off donation, you can also support GaGa Animal Care. You can then join Friends of GaGa for a minimum of € 5, – per month. 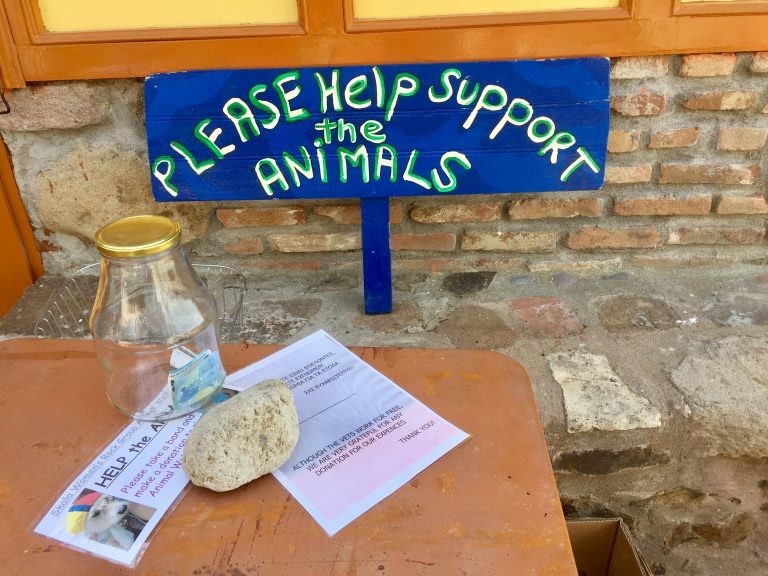 The entire amount resulting from these donations is spent on dogs that, due to age or illness, are unfortunately no longer available and therefore remain in shelter on Lesbos. More information about Friends of GaGa is also available on this website. Of course, you can also send us anSupport Gaga Animal Careother donation instead of a financial donation in the form of materials. For example: plastic conveyors, anti-flea pipettes, belts and straps. Everything that you can spare, we are happy to receive!